Exceptionally accommodating and well designed, this beautiful desk is a wonderful centerpiece for your home office space. Featuring seven total drawers, the desk includes a locking file drawer, three utility drawers, and a flip-down center drawer. Completed with a truffle finish and two AC outlets with a USB charger, the desk will transform your home office experience. 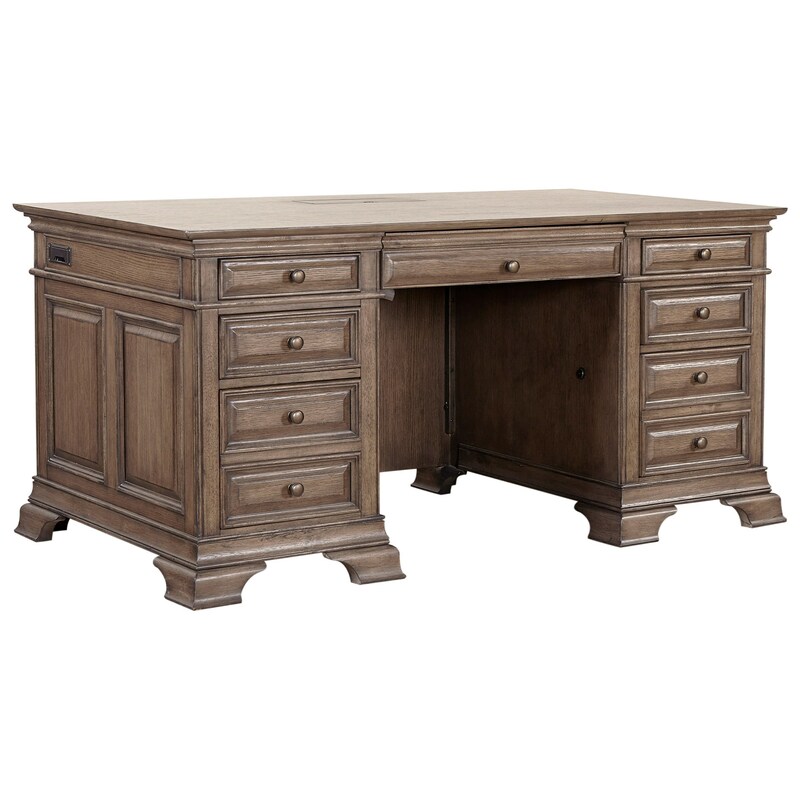 The Arcadia 72" Executive Desk by Aspenhome at Reeds Furniture in the Los Angeles, Thousand Oaks, Simi Valley, Agoura Hills, Woodland Hills, California area. Product availability may vary. Contact us for the most current availability on this product. I92-300T 72" Exec Desk Top 1 72" 34" 7"
I92-300B 72" Exec Desk Bottom 1 73" 35" 25"
Case Construction Cases are Constructed with Authentic Details and Finishes that Reflect Old World Craftsmanship. Rubber Wood Solids and a White Oak Veneer. 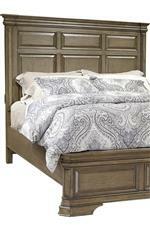 The Arcadia presents beautiful transitional furnishings for your home living, office, and bedroom space. 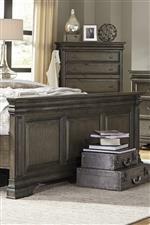 Crafted with rubber wood solids and white oak veneers, the pieces feature cedar-lined drawers, hidden jewelry trays, elegant feet, unique upholstery, bed storage, and other features. 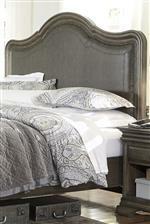 Completed with a soothing Truffle finish, this collection will transform your home with timeless style and design. The Arcadia collection is a great option if you are looking for Transitional furniture in the Los Angeles, Thousand Oaks, Simi Valley, Agoura Hills, Woodland Hills, California area. Browse other items in the Arcadia collection from Reeds Furniture in the Los Angeles, Thousand Oaks, Simi Valley, Agoura Hills, Woodland Hills, California area.